This one isn’t for sale. I’m pleased to say that it’s in the possession of the lovely lady who gave me the flowers that inspired it. I adore the natural curves and undulations and folds of these gorgeous flowers. 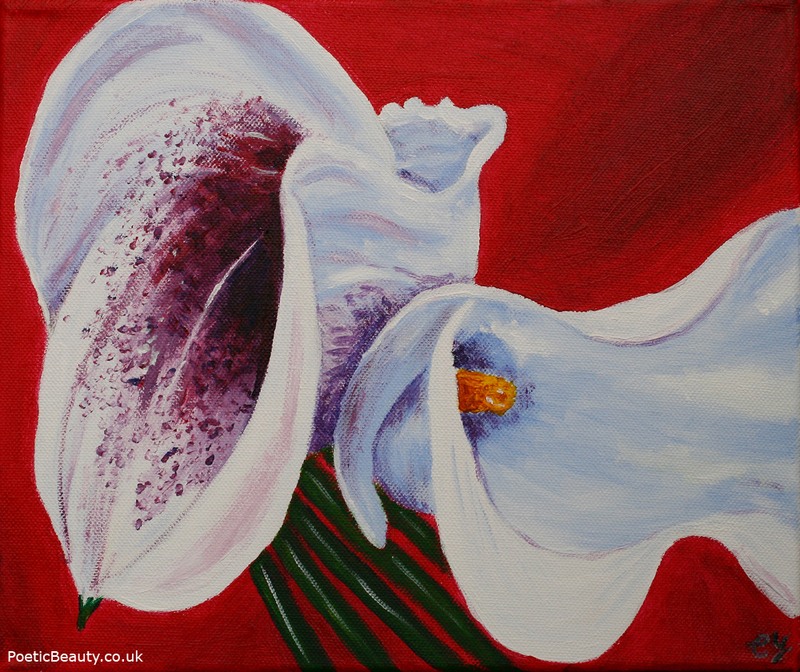 This entry was posted in Art, Beauty, Inspiration, Love, Nature, Original Paintings and tagged Acrylic on canvas, Art, Calla lillies, Colour, Female artist, Flower paintings, Flowers, Inspiration, Nature, Original art, Peace. Bookmark the permalink.